Betty's Burgers & Concrete Co, Australia's favourite 1950's inspired burger shack has officially open its doors in Windsor. The restaurant announced two exciting opening collaborations planned for locals. Betty's has teamed up with Windsor local donut entrepreneur Bistro Morgan to design an indulgent 'Local' Concrete dessert. The dessert, a take on the existing frozen custard ice cream 'Cookie Butter Concrete' comes topped with an exclusive Bistro Morgan cinnamon coated donut ball, filled with additional cookie butter and topped with Nutella sauce. Sales from this extravagantly delicious dessert will be donated directly to St Kilda Mum's, a local charity supporting families in need. The 'Local' Concrete will be available for one week only at Betty's Burgers Windsor. Morgan Hipworth, founder of Bistro Morgan looks forward to seeing this creation come to life. "I'm super excited to be partnering with Betty's Burgers on this limited-edition Concrete as I'm a massive fan and love their stuff!" Betty's Burgers will also be giving one lucky burger loving, shopping enthusiast the chance to win the ultimate Chapel Street experience. Working alongside Chapel Street Precinct Association, one lucky winner will walk away with a $2000 shopping spree AND Betty's Burgers for an entire year! To enter, guests simply need to take a photo in the new Betty's Windsor restaurant and share to their Instagram. Chrissie Maus, General Manager of Chapel Street Precinct is excited to welcome another exciting hospitality venue to the area. "We are so excited to have a retro burger shack like Betty's Burgers & Concrete Co adding an extra splash of cool to Chapel Street Windsor, just in time for Summer!" 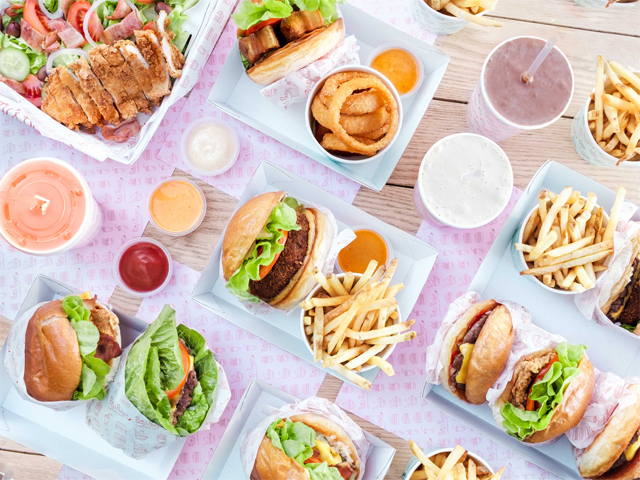 David Hales, the founder of Betty's Burgers said "We know the Melbourne burger market is competitive, however we also know Betty's Burgers serve the freshest and tastiest burgers on offer and this really is our winning formula. Our entire menu, while simple, has taken the team an extensive period of time to create and source what we believe are the best burgers in Australia." Betty's Burgers Windsor is located at 129-131 Chapel Street. Tella Balls Dessert Bar has THREE new Homes!